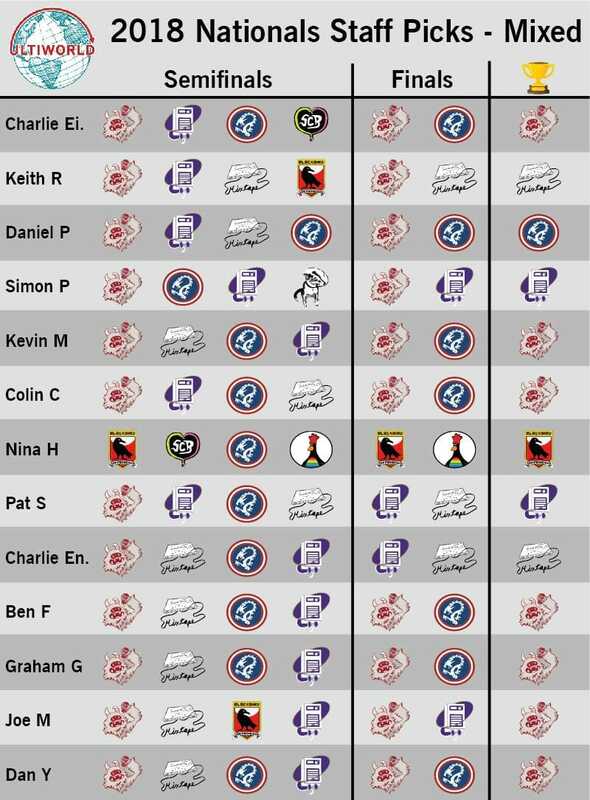 You may have heard Charlie Eisenhood and Keith Raynor make picks on yesterday’s live episode of Deep Look. 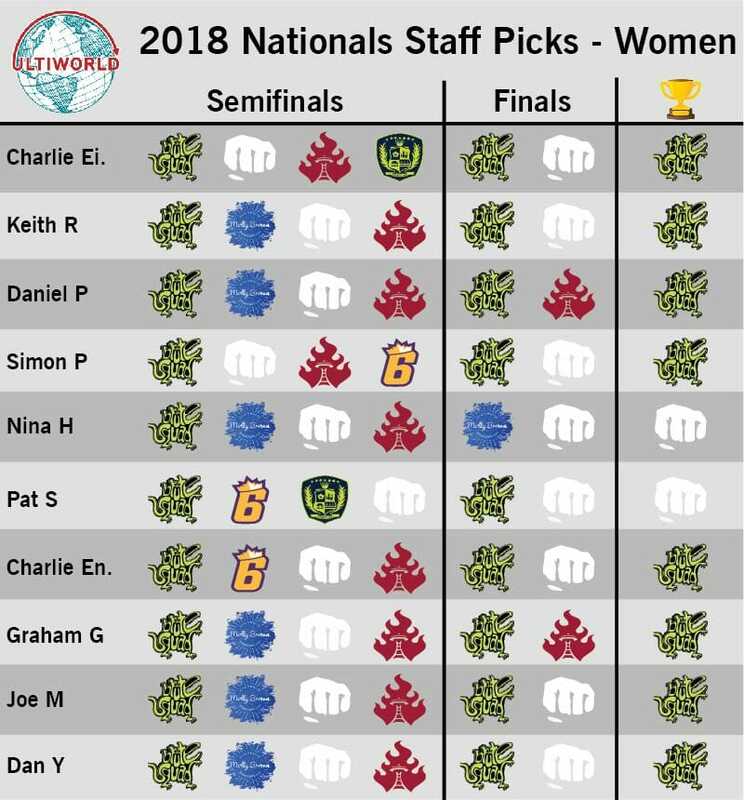 Now, the rest of the Ultiworld staff has their chance to lay out their picks. Who are your picks? Tell us in the comment section below! Follow all our livestreams, twitter feeds, articles, liveblog updates, and more at ultiworld.com/live. 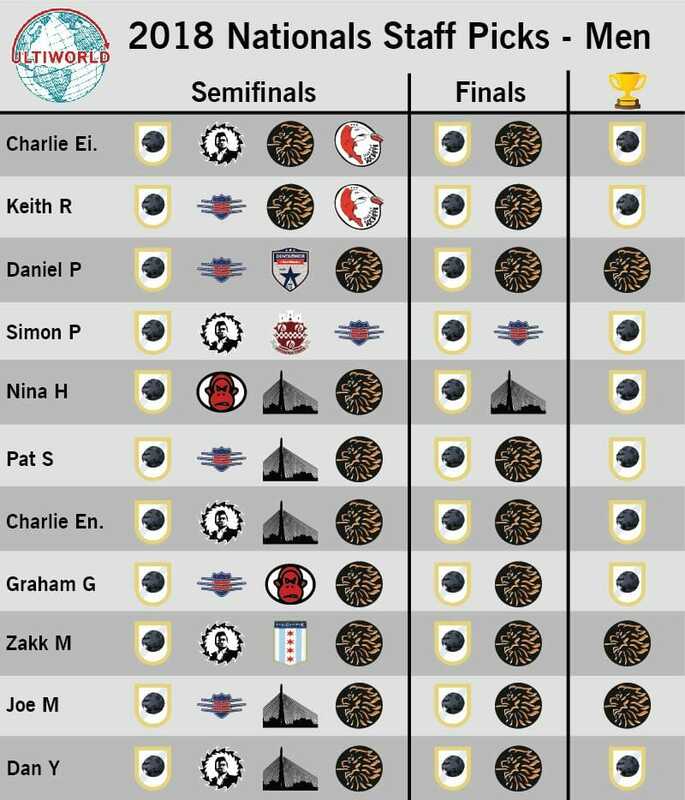 Comments on "Staff Picks: 2018 Club Championships"